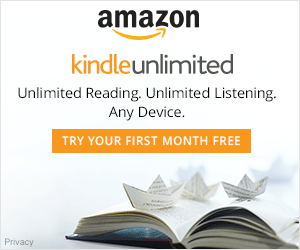 Since joining Kindle Unlimited in July of 2015, I’ve read over 200 KU books (and many, many more non-KU reads. (JA Huss, I’m looking at you!) I work full time, but I’m single with no kids, so time? Yeah, you could say I’ve got more to myself than some (most, lol?) All this means is that I have more time to cut through the clutter for you. See? Win-win. This book kept popping up in my Amazon feed and I kept ignoring it. Why? I’m not quite sure. I wish I had read it sooner and yet, there’s a small part of me that wishes I could experience it all over again. This is one of those books that simply stays with you. It just does. I can still recall minute details to many of the scenes and memory is not one of my strong suits. It’s just So. Damn. Beautiful. Brittainy has a way of writing her characters that gets you so invested. If you’re like me, you love a book that can rip your heart out and make you cry, sob, bawl – and then put it all back together again. It makes you feel something real. For me, when reading makes me feel, and I mean REALLY feel, sign me up. I have read Ms. Cherry’s four other books since I read The Air He Breathes (all available on KU) and they were each beautiful and/or sweet in their own way. The majority of her novels have a character that has suffered a great loss and/or tragedy. This tends to either give them their depth/edge or helps them relate to another character. It’s a formula she uses a lot, but it really doesn’t bother me – it just stands out. I will read anything she writes, whether it is available on KU or not and am eagerly awaiting her next release. As of 1.13.16, The Air He Breathes is available on KU.